Arthur Widdows Smith born in house 1915. Operated a general store there. Once a toll house. Arthur's father was a mason, worked on Phillips Academy bell tower and mills according to grandson Paul Birch 7/10/92. Arthur's father built stone house #45 next door, where Paul grew up. The early deeds list Rattlesnake Hill Road as the road from “Justin Carter’s to the old Boston Rd.” The deed to this property lists the “Benjamin Butters” house and the barn across the road on Rufus Caldwell’s land. There is a Benjamin Butters listed in 1791 in Andover and he is listed in the 1820 census in Andover. The 1830 map shows a building near this location but is not labeled. The 1852 map lists S. Colwell (Coldwell) at the location. 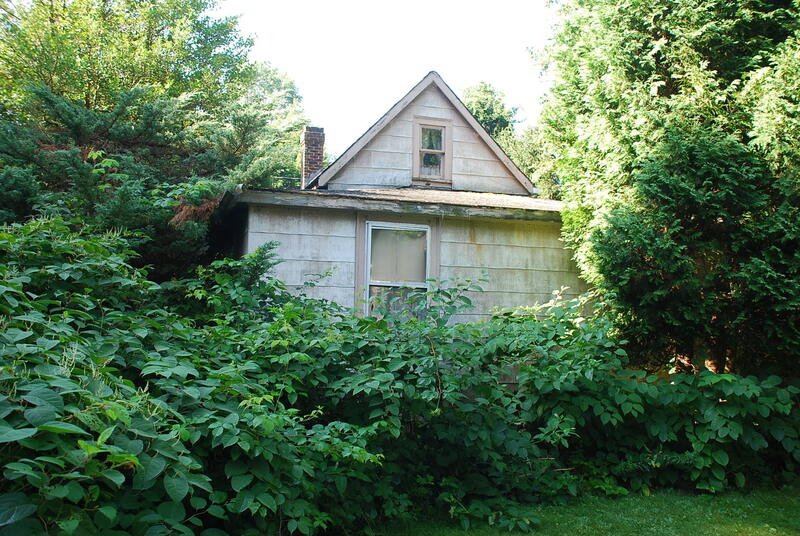 We presume that this little house was built within the ten years that followed. 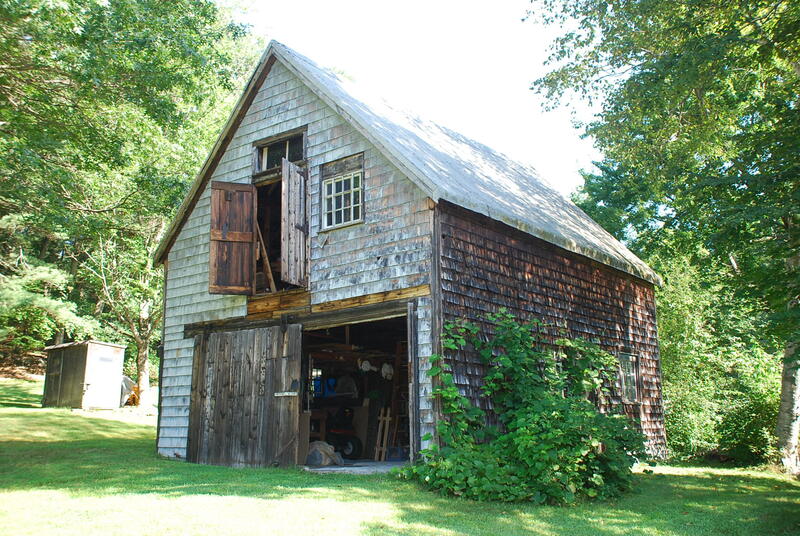 Benjamin Butters estate went to his daughter Catherine Caldwell who sold the 3 acre property with dwelling house and barn for $200 to Richard & Catherine Boynton on Apr. 23, 1863. Boynton owned other property nearby and sold this parcel for $275 to Theodore A. Gibbs on Sept. 26, 1864. Theodore A. Gibbs was born in Hamilton, MA about 1829, son of Theordore & Lucy Gibbs. Theodore enlisted in the Navy during the Civil War from 1861 – 1864 as a Carpenter’s mate on the U.S. Flag Ship. When he returned he married on Oct. 20, 1864 at the Free Church to Sarah O. Hatch b. Aug. 27, 1835 in Andover, dau. of Jeremiah & Betsy Hatch. This home was their Honeymoon cottage. The 1870 Andover Valuation schedule list the Gibbs property; House $100, barn $50, 3½ acres $70. The US census list Theodore & Sarah wit daughter Clara A. and Phebe M. Hatch age 16 as a boarder. Theodore would have four children; Clara A., Jeremy b. 1872, George T. A. b. Jan. 13, 1874 and Mary E. b. 1878. The 1880 census has them near the center of town. Gibbs would later move to Oak St. in Ballardvale. Gibbs sold the property Newton & Laura A. Jaquith on July 1, 1881 for $150. Jaquith’s used as income property as they lived on Salem St. George A. Leighton purchased on Dec. 20, 1883 and then sold to Michael & Margaret Fox on Sept. 23, 1884. Michael Fox was born in Ireland in Dec. 1861 son of Michael & Bridget (McGlynn) Fox. He married in 1879 to Margaret M. b. May 1854 in Ireland and immigrated to America in 1874. They had seven children of which six survived. Mary Ann b. 1881 – d Feb. 27, 1887, Bridget E. b. July 1882, Thomas F. b. Mar. 1886, Michael E. b. Oct. 2, 1887, Margaret E. b. Sept. 1889, John A. b. Feb. 1891. Michael was a Day laborer for the railroad. 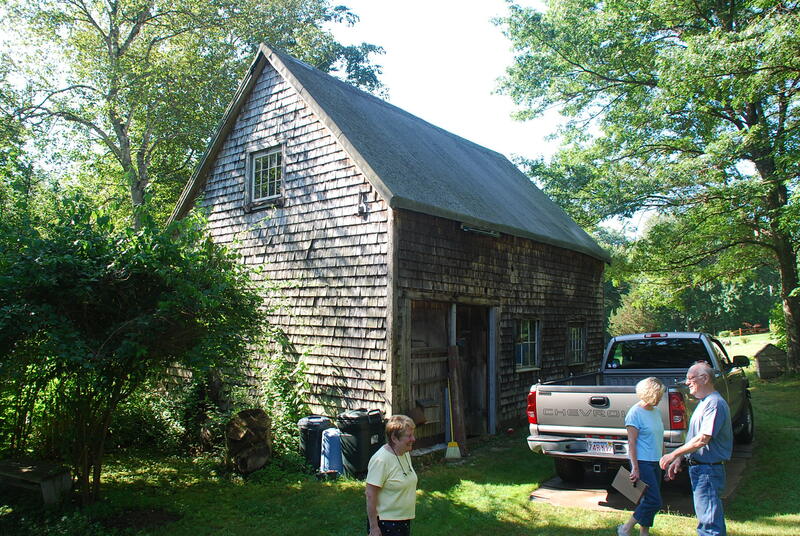 The 1900 Andover Valuation - Michael Fox of 234 Salem St., Lawrence, 3 acres $50. 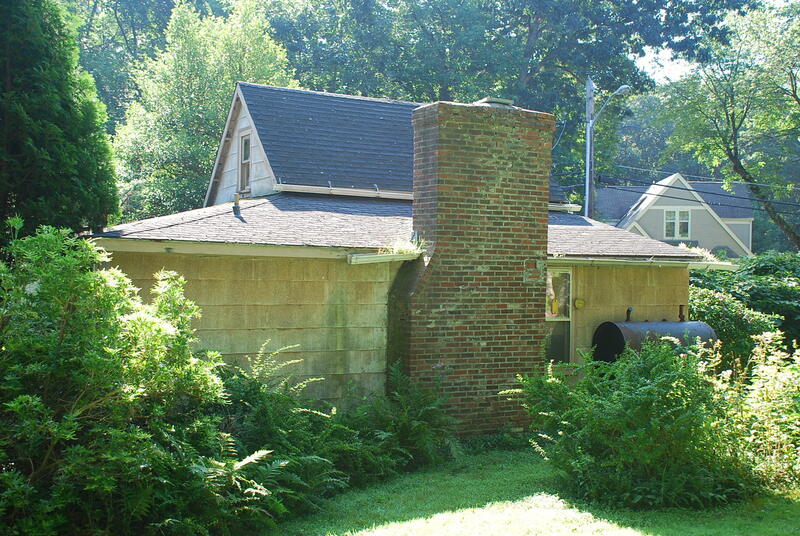 The Fox family lived in Lawrence so may have used this as income property or a summer retreat. Michael died on Jan. 23, 1910 age 52. 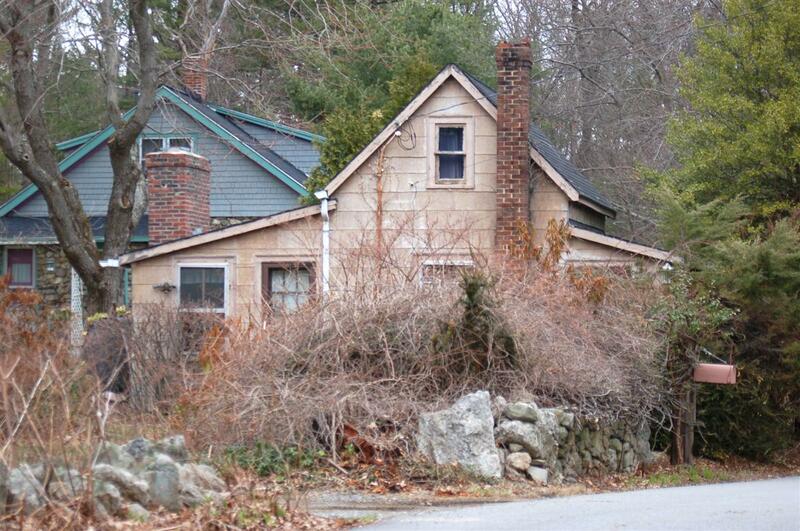 The 1910 census has the Fox family living at South Broadway in Lawrence, MA. His widow Margaret would sell the Andover property to Frank & Eleanor Jaquith on July 25, 1910. Frank & Eleanor held the property just under two years then sold to Arthur J. & Clara Smith on Mar. 30, 1912. Arthur James Smith was born on July 5, 1881 in Eccleshill, St. Luke’s Parish, Yorkshire England, son of William Charles & Elizabeth Smith. Arthur was the eldest child, followed by Joseph E. b. 1883, Walter H. b. 1886 and Emily May b. 1891. Arthur married on May 12, 1906 in Eccleshill, England to Clara Widdows b. 1881 dau. of Frank Widdows. Arthur was a mason and Clara a weaver. They both immigrated to the USA in 1909 and became citizens in 1917. They had two boys Arthur Widdons b. 1915 and Gordon b. 1922. The 1920 census lists Arthur as a bricklayer and contractor. Arthur Smith built the handsome stone house just north of their little cottage home in 1922 and the family moved over to #45. Walter Smith, Arthur’s brother, immigrated on 1912. He lived in a small camp across the road from his brother. Walter became a citizen in 1919 and was a teamster, then a laborer at a private school. Arthur W. Smith married Phyllis D. b. 1916 and had two daughters, Barbara b. 1938 - d. Jan. 1949 age 11, and Jacqueline C. b. 1939. Arthur W. & Phyllis lived in the cottage house. Arthur was a pressman for a newspaper. Entrgra 47 Rattlesnake Hill Rd. The cottage house would later be razed but the barn, which had been moved from across the road at some point remained standing. A new home was built to the rear of the lot. 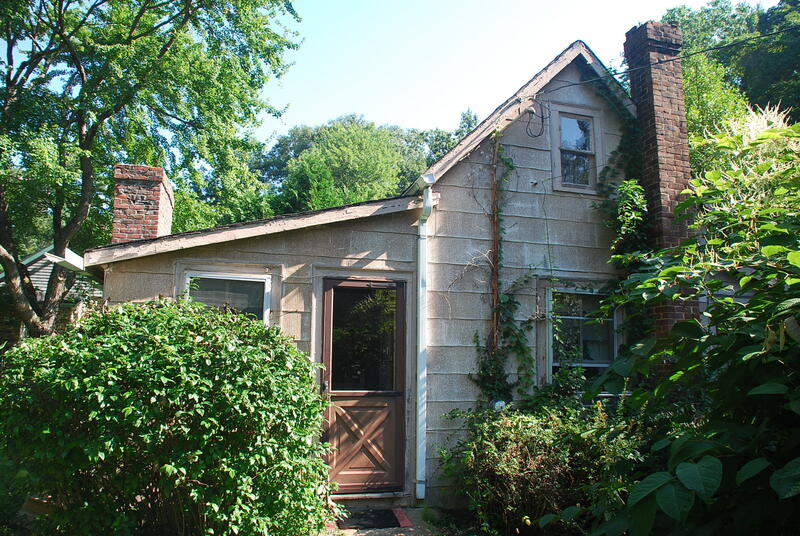 Michael Fox of 234 Salem St., Lawrence 1900 Andover Valuation - 3 acres $50. Theodore A. & Sarah O. H. Gibbs - Dec. 22, 1873	- b. 25 p. 462 mtg. Outbuildings / Secondary Structures Barn west of the house. Acreage 1.00195 acre, 38,939 sq. ft.